A strong earthquake shook a mountainous region in southwestern China near a famous national park, killing 40 people, injuring 431 others and knocking out power and phone networks. China has been thrown into a state of mourning after 13 people lost their lives to a strong earthquake. At least five of the dead were tourists, China’s official Xinhua News Agency said. 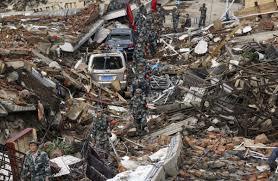 At least 28 people had serious injuries, according to the Aba prefecture government in Sichuan province. The quake at around 21:20 on Tuesday struck a region bordered by the provinces of Sichuan and Gansu. The area is on the edge of the Tibetan Plateau and home to many Tibetan and other ethnic minority villages. It’s also near Jiuzhaigou, or Jiuzhai Valley, a national park known for spectacular waterfalls and karst formations. The US Geological Survey said it was 6.5-magnitude and just 9km deep, while the China Earthquake Networks Centre measured the earthquake at 7.0-magnitude and said it struck at a depth of 20km. Shallow earthquakes tend to cause more damage than deeper ones. 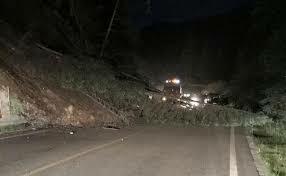 A man, surnamed Song, who answered the phone at a local emergency office in Aba prefecture, where the Jiuzhaigou national park is located, said the nearby town of Zhangzha reported the deaths and injuries. Song did not say where the 5 tourists who died were from.